^ 1.0 1.1 1.2 WELS Questions & Answers: Lutheran and Catholic. Wisconsin Evangelical Lutheran Synod. 2015-02-12 [2017-11-07]. （原始内容存档于2015-02-12）. ^ Book of Concord Frequently Asked Questions. bookofconcord.org. [2017-11-07]. 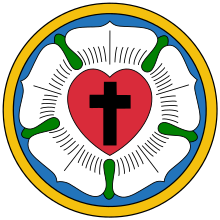 The Lutheran Confessions are ten statements of faith that Lutherans use as official explanations and summaries of what they believe, teach, and confess. 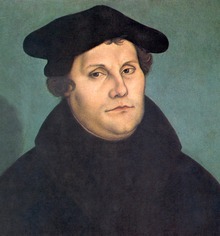 They remain to this day the definitive standard of what Lutheranism is. ^ 4.0 4.1 4.2 4.3 What We Believe. WELS. [2017-11-07] （美国英语）. ^ About Us. International Lutheran Council. [2017-11-07] （美国英语）. ^ This We Believe - Justification, by Wisconsin Evangelical Lutheran Synod, stating: We believe that God has justified all sinners, that is, he has declared them righteous for the sake of Christ. This is the central message of Scripture upon which the very existence of the church depends. It is a message relevant to people of all times and places, of all races and social levels, for "the result of one trespass was condemnation for all men" (Romans 5:18). All need forgiveness of sins before God, and Scripture proclaims that all have been justified, for "the result of one act of righteousness was justification that brings life for all men" (Romans 5:18)...We believe that individuals receive this free gift of forgiveness not on the basis of their own works, but only through faith (Ephesians 2:8,9). ^ News & Media. WELS. [2017-11-07] （美国英语）. ^ This We Believe - The Means of Grace: "We believe that the blessing of Baptism is meant for all people (Matthew 28:19), including infants. Infants are born sinful (John 3:6) and therefore need to be born again, that is, to be brought to faith, through Baptism (John 3:5)...We reject the view that babies should not be baptized and that they cannot believe in Christ (Luke 18:15-17)"
^ This We Believe - The Means of Grace: "We believe that all who join in the Sacrament of the Lord's Supper receive the true body and blood of Christ in, with, and under the bread and wine (1 Corinthians 10:16)...We believe that Christ's words of institution cause the real presence—not any human action. As believers receive his body and blood, they also receive the forgiveness of sins (Matthew 26:28) and the comfort and assurance that they are truly his own. Unbelievers also receive Christ's body and blood, but to their judgment (1 Corinthians 11:29)...Scripture teaches that all communicants receive both the bread and wine and the body and blood of Christ (1 Corinthians 10:16)." ^ WELS Topical Q&A: Who may Commune/Serve? - Closed Communion, "Communion is based on faith in Christ, so non-Christians cannot attend. Communion is for forgiveness so the impenitent who are living in a sin cannot attend. Communion calls for self-examination so the uninstructed cannot attend, even our own children. If communicants do not recognize the presence of Christ's body and blood in the sacrament, they receive it not to their blessing but to their condemnation, so members of churches that do not believe in the real presence cannot attend with us." ^ This We Believe - Justification By Grace through Faith: "We believe that already before the world was created, God chose those individuals whom he would in time convert through the gospel of Christ and preserve in faith to eternal life (Ephesians 1:4-6; Romans 8:29,30)." ^ This We Believe - Justification By Grace through Faith: "We reject the false and blasphemous conclusion that those who are lost were predestined, or elected, by God to damnation, for God wants all people to be saved (1 Timothy 2:4; 2 Peter 3:9)." ^ This We Believe - Church and State: "We believe that not only the church but also the state, that is, all governmental authority, has been instituted by God. "The authorities that exist have been established by God" (Romans 13:1). Christians will, therefore, for conscience's sake obey the government that rules over them (Romans 13:5) unless that government commands them to disobey God (Acts 5:29)." ^ Member Churches. The Lutheran World Federation. 2013-05-19 [2017-11-07]. ^ Asia - International Lutheran Council. International Lutheran Council. [2017-11-07] （美国英语）. ^ Confessional Evangelical Lutheran Conference –. celc.info. [2017-11-07] （美国英语）. ^ 信義宗與梵蒂岡簽締《因信稱義聯合聲明》. 時代論壇. 1999-10-10 [2017-11-07]. ^ 世界衛理宗議會加入天主教與信義宗的《成義信理聯合聲明》. 天亞社中文網. 2006-08-04 [2017-11-07]. ^ A German pope heads for the Land of Luther, National Catholic Reporter（英语：National Catholic Reporter）, 2 Sept 2011 （英文）, saying "To be sure, the Joint Declaration has not exactly brought about an ecumenical New Jerusalem. Some Lutherans have rejected the agreement, including the International Lutheran Council and the Confessional Evangelical Lutheran Conference. On the Catholic side, the Vatican’s approval remains officially binding, but enthusiasm varies." ^ McCain, Rev. Paul T. A Betrayal of the Gospel: The Joint Declaration on the Doctrine of Justification. First Things. 12 March 2010 [2014-01-17]. ISSN 1047-5141. ^ WELS Topical Q&A - Justification. [2017-11-07]. （原始内容存档于2009-09-27）. The biblical Lutheran teaching of “forensic” justification maintains that the only effective cause of our forgiveness is a verdict of God that takes place outside of ourselves. We are declared “not guilty” entirely on the basis of what Christ has done for us. Catholic teaching on justification makes a change within man part of the cause of our forgiveness. The Joint Declaration does not represent a change in the teachings of the Roman Catholic Church. It does nothing to repudiate Rome’s historic position on the doctrine. 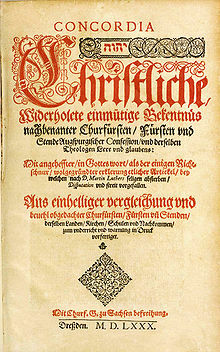 The Joint Declaration is nothing more than an ambiguous statement, carefully worded to make it possible for the Pope’s representatives to sign it without changing, retracting, or correcting anything that has been taught by the Roman Catholic Church since the time of the Council of Trent in the sixteenth century. The Joint Declaration is a compromise. It masquerades as a significant change which brings Roman Catholicism in line with confessional Lutheranism on the teaching of justification. In fact, it is a deception that presents the appearance of agreement without any real substance that would make agreement possible. It is a thinly veiled attempt on the part of ecumenicism to embrace Catholicism. In the final analysis it appears that Rome has moved closer to reattaching what was lost in the sixteenth century without any substantive change in its doctrinal position. ^ Joel Gerlach. A Question of Indulgences - Again. WELS. [2017-11-07] （美国英语）.